Let’s Go Historic House Hunting! At the pricier end of the spectrum, we have the dreamy Packwood-Temple House, on the grounds of the Alabama Hotel condominiums. 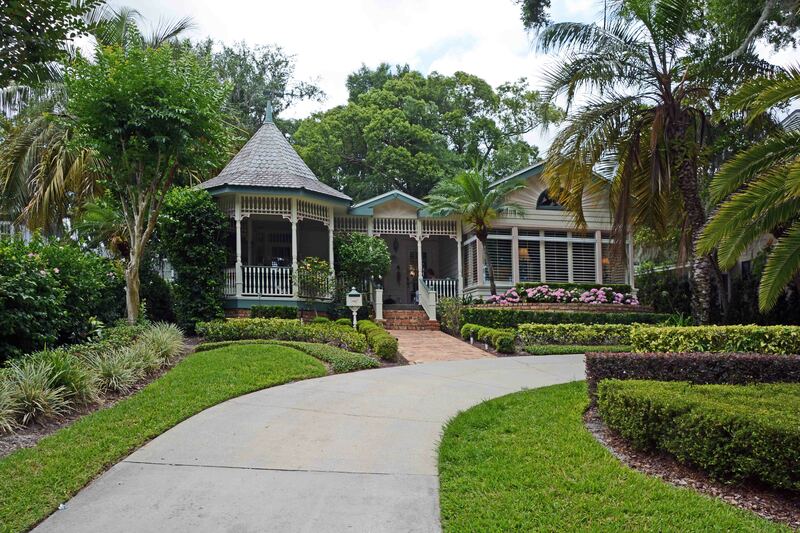 If walls could talk, this house could tell you quite a bit about Winter Park history—when the list of the former owners reads like a Winter Park/Maitland street map, you know the house is historic. 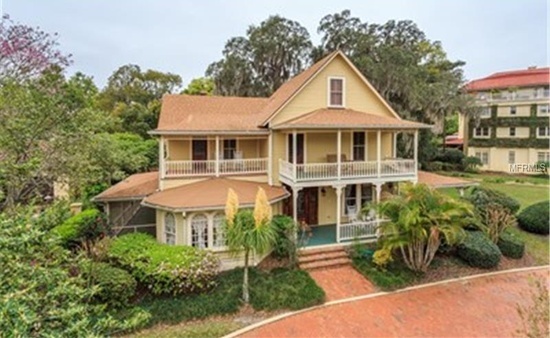 In addition to Central Florida pioneer George Packwood and former Mayor William Temple, the house was owned by Edward Palmer (as in the Avenue) and Joseph Kroenenberger (who platted the subdivision on which the house now sits). And here’s the amazing thing: the HOA stipulates that maintenance of the entire exterior of the house and grounds are covered by the condo association—so you’ve got a fabulous, 3500 sq. 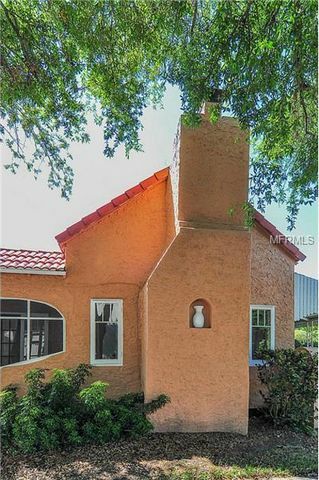 ft. 4/4 single family home with all the benefits of living in a condo. Nice! Yes, you pay a monthly $750 condo fee, but try living in a house this size in the Vias and taking care of your landscaping and home maintenance for less than this. 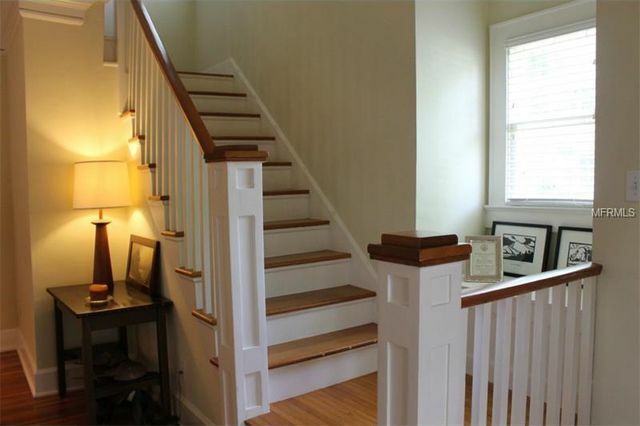 Most of the original 1878 Victorian charm of the home is intact…the woodwork! The leaded glass windows! 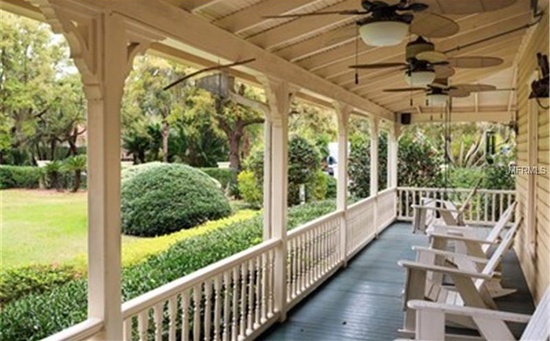 The wraparound porch with Victorian detailing! In addition to retaining so much authenticity, the house has been updated with a truly lovely gourmet kitchen—and can’t you just see yourself having your morning coffee in the window-walled turreted breakfast room? 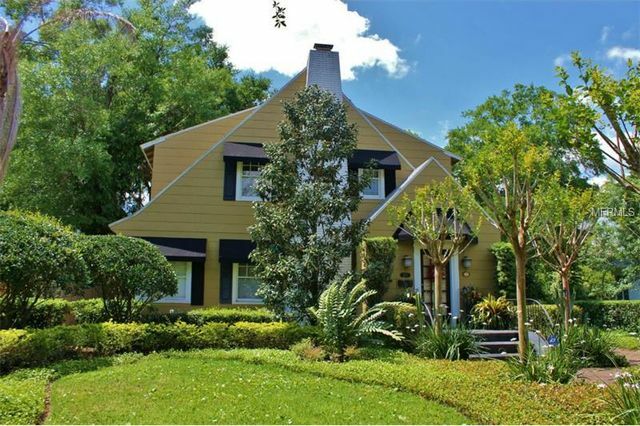 Plus, you’re across the street from Lake Maitland, a stone’s throw from Kraft Azalea Gardens, and can rent a boat slip for $750 per year. Strange as it sounds, at $1.2 million, this almost seems too good to be true. Shall we have a spot of lemonade before croquet? Shall we have our morning coffee here? I know it sounds crazy, but just $1.2? This house was on Casa Feliz’s 2015 Colloquium Tour, and it’s impeccable. 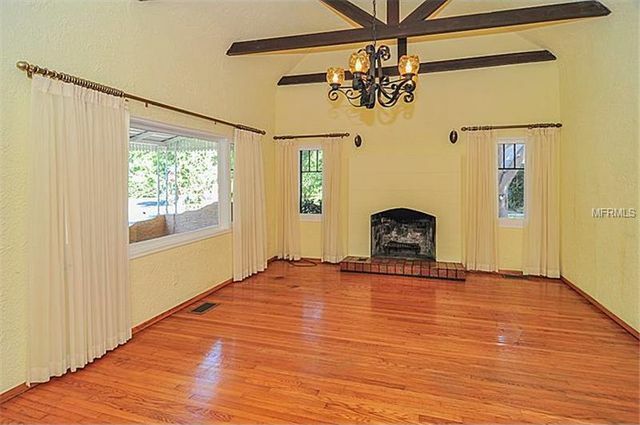 Located in the College Quarter neighborhood, the 1940s traditional looks like it’s straight out of Central Casting for “charming American home.” It’s been pretty thoroughly updated on the inside, but not so much that you feel like a time traveler when you cross the threshold. 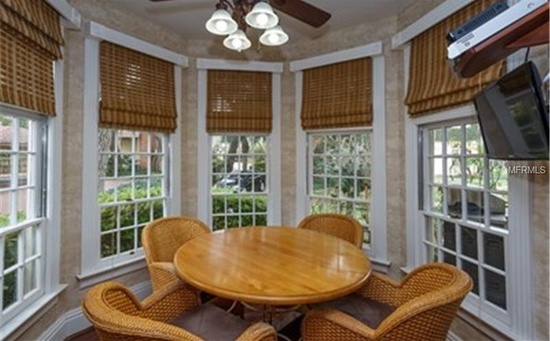 The rooms are smallish, but the house has a charming back patio with pool which expands the living space. Plus, it’s got a large rental unit over the garage that could easily rent for $1,000/mo. 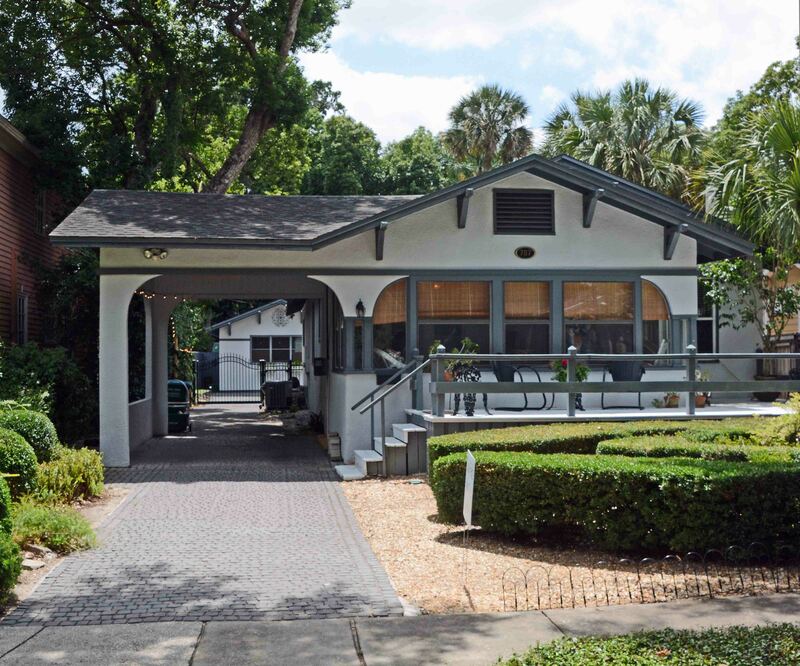 Lots of homes advertise “Walk to Park Avenue,” but for this one, it’s true: who wouldn’t love living just 5 short blocks from the Winter Park Farmer’s Market in one of Winter Park’s most picturesque neighborhoods? Check it out. 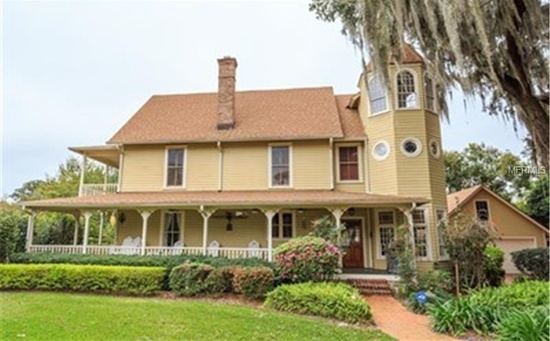 For years, I have walked by and drooled over this Orwin Manor Tudor Revival home, listed on the Winter Park Register of Historic Places. Someone needs to buy this house to keep me from buying it. I actually toured it a couple months ago and may just have made an offer if I thought it could accommodate my husband’s grandmother’s baby grand piano, and my grandparents’ dining room furniture, neither of which we’re emotionally ready to part with. That said, the 3-bedroom house seems plenty spacious, and in the tradition of Sarah Susanka’s “Not So Big” philosophy, the house lives large. It’s sensitively updated—to me, there’s nothing worse than walking into a house that’s 90 years old on the outside, to find it’s been scrubbed of all its original charm on the inside. 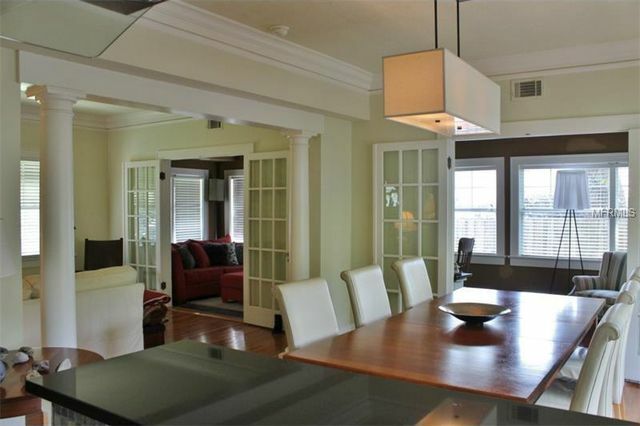 Gorgeous French doors separating rooms, lovely woodwork, window seats, hardwood floors, glass door knobs—they’re all still here, while the bathrooms and kitchen have been appropriately updated. Plus, at less than $450K, I think it’s a steal. Seriously. Someone buy this house. 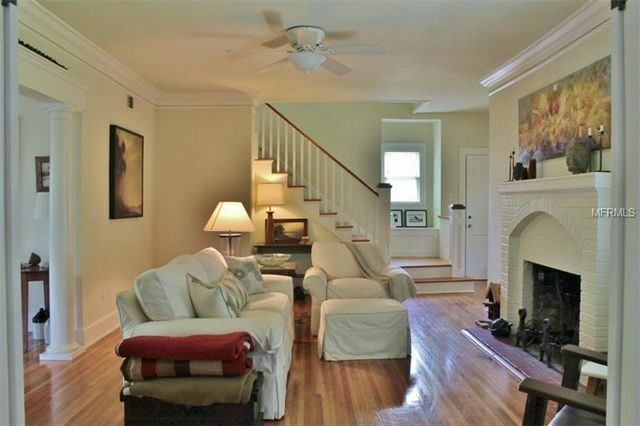 Open floor plan AND historic bones? Pinch me! Did I mention the woodwork? This house is not only precious, it’s a great investment. 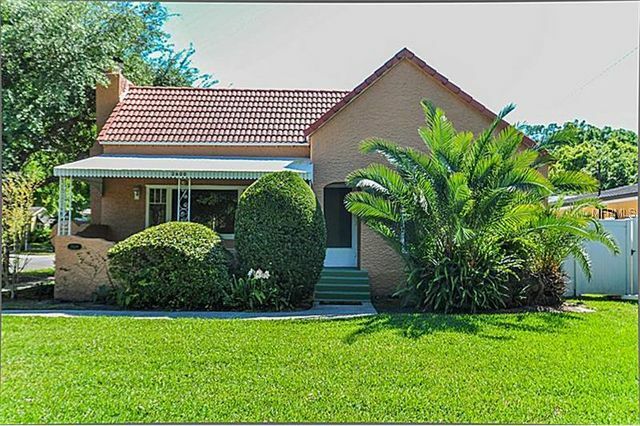 With the burgeoning Audubon Park/Corrine Drive neighborhood within walking distance, Park Avenue within easy biking distance, and downtown Orlando a 10-minute drive away, this 1925 Mediterranean supports the maxim, “the smaller your house, the larger your world.” Also on the Winter Park Register of Historic Places, the 3/2 has a stunning living room with Cathedral ceiling accented by heart pine cross-beams, many original windows, a wonderful woodburning fireplace, hardwood floors, and plaster walls accented with built-in nooks and crannies. A free-standing two-car garage is connected to the house by a breezeway. While I wish that the kitchen and bathrooms had been updated in a more period-appropriate style, most folks aren’t as obnoxiously priggish about such things as I. 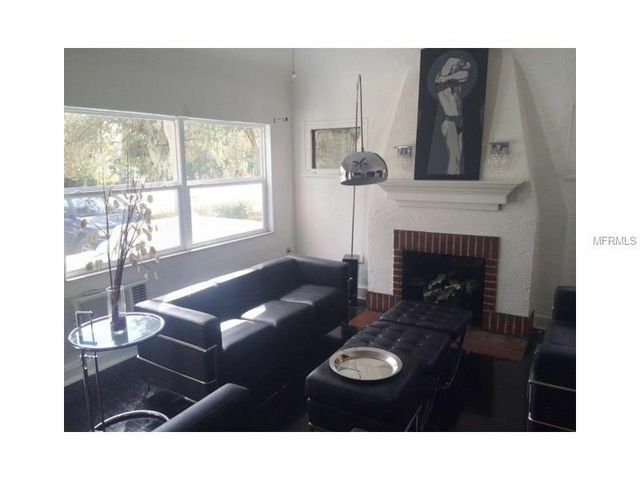 This is the perfect house for young professionals or couples looking to downsize. 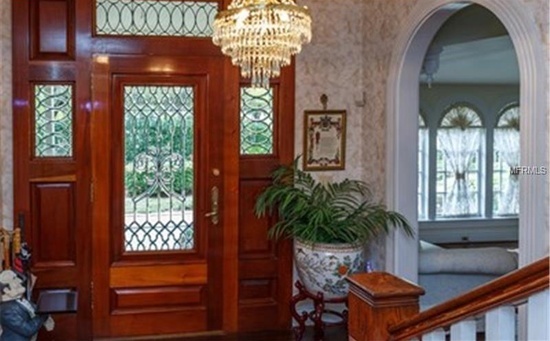 This house built when people cared about detail – on all four sides. So this one is a fixer-upper, but it’s priced accordingly. 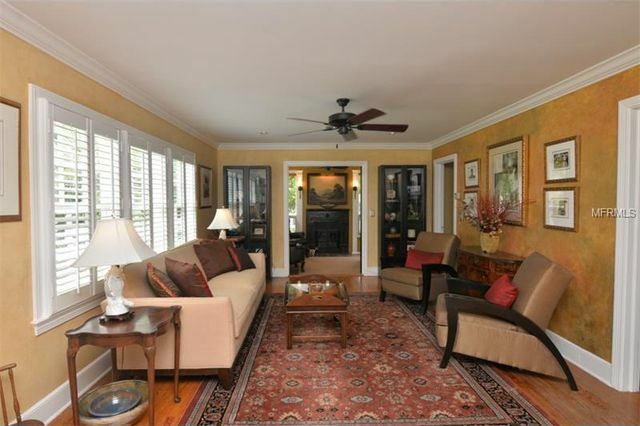 Built in 1922, this 2/1 Mediterranean is a 5 minute drive from both downtown Winter Park and downtown Orlando (well, on Sunday morning, anyway). 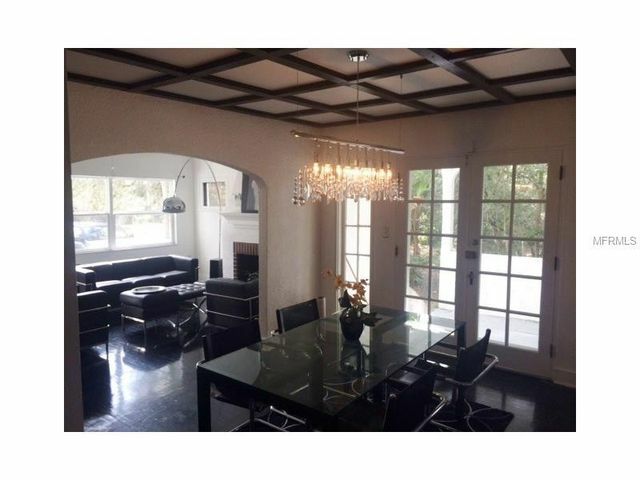 The house has good bones and nifty architectural features—check out the living room fireplace and the dining room ceiling. You’ll have to spend another $100K to get this house ship-shape (for starters, the living room floorboards are buckling and the roof tiles have been painted an unfortunate white), or $200K to make it into a 3/2, but when you’re done you’ll have a unique gem of a cottage on .42 acre of land. If this seems daunting, have a look at the before-and-afters of the house just a few doors down: Phoenix on Orange Avenue. Compared to what the Spencers undertook with this house’s larger cousin, this reno is practically a weekend project. Aha! I am warm, I have seen the fire. 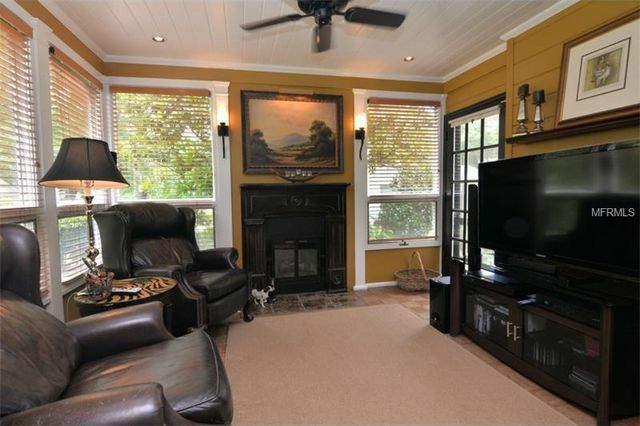 So, fellow house hunters, is this blog post just a summer beach read, or is there a moral? 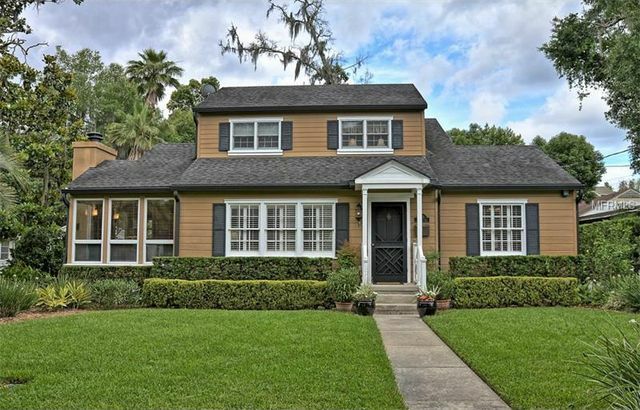 As usual, I can’t avoid a little bit of sermonizing, so here goes: Winter Park is blessed to still have a certain inventory of historic homes. I know I’m not alone in this: when we’ve moved in the past, we’ve avoided entire neighborhoods and even cities that weren’t developed until 1950, knowing we wouldn’t find homes that spoke to us therein. I’ve spoken to many people in town—educated, creative, artistic citizens who volunteer and contribute to our community in invaluable ways–who agreed to relocate to Central Florida only after they learned of Winter Park’s existence. Yes, there are those who want newer homes, and that’s fine. But I know that there are other unabashed old house addicts who’ll chose solid oak closet doors over granite countertops any day of the week. 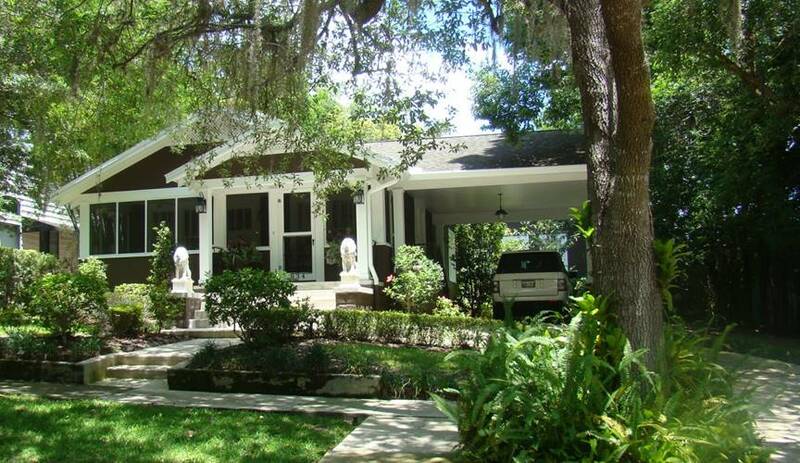 I hope Winter Park will always have something to offer these folks, because they, like older homes, make the city a much more interesting place to live. Sarah Susanka may have written the “Not So Big” series of architecture books, but she’s a woman of big, bold ideas. 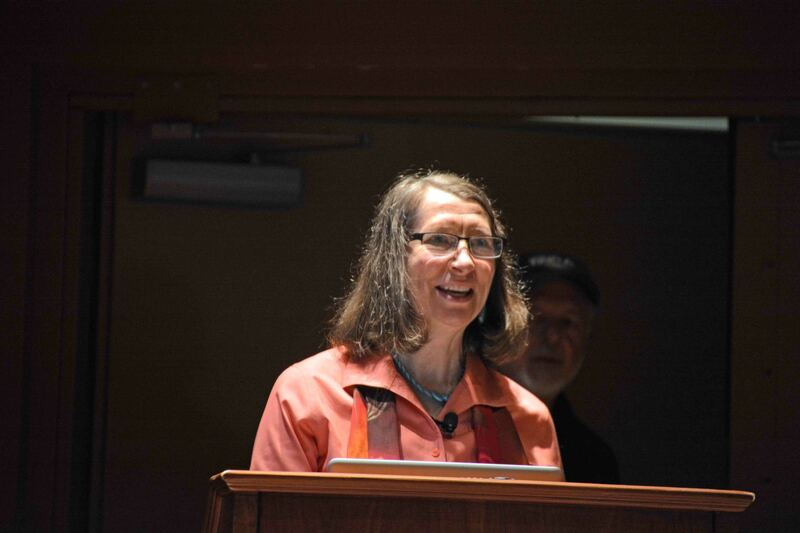 On May 16, the architect and author shared her wisdom with a Winter Park audience of 250 at Casa Feliz’s 9th Annual James Gamble Rogers Colloquium on Historic Preservation. Susanka’s nine books, which revolve around the theme of quality over quantity in home design, have sold well over a million copies. Her ideas have the potential to change not only how we design our homes, but how we plan our cities, and even prioritize our lives. resource in the College Quarter Historic District. 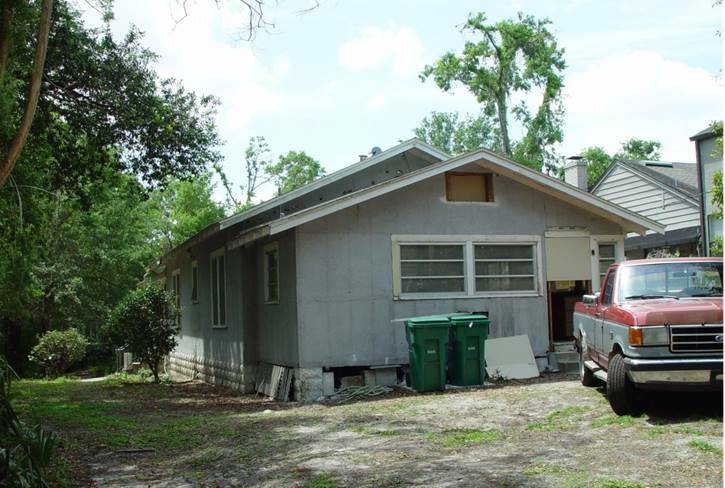 Over almost 80 years of occupancy, the bungalow suffered from an application of inappropriate siding and a poorly built addition. Suzanne Fisher acquired the house in 2005. She removed the siding and improved the front porch access, restored the interior of the house and replaced the failing add-on in keeping with the historic Craftsman architecture. 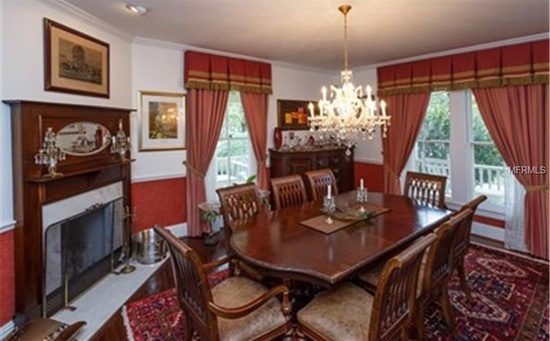 The historic house was fully renovated in character and prepared for decades of enjoyment. 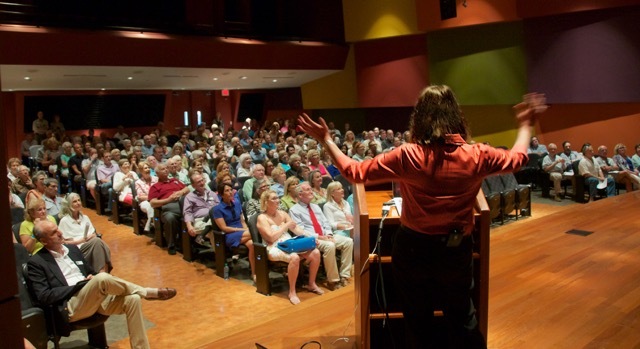 Ms. Fisher opened the house for the 2014 Colloquium tour which focused on restored homes. The current owners, Rick and Wendy Hosto, recently purchased the house from Ms. Fisher. “It’s never too late to mend” (mural on The COOP’s patio wall) expresses the philosophy that guided the sensitive renovation of 610 West Morse Boulevard. The building had been Mike Hage’s Market in the middle of the last century. First renovated by John Spang for the East India Market after standing empty for a time, it would later be occupied by a series of tenants who were not always so considerate of the vernacular commercial building. 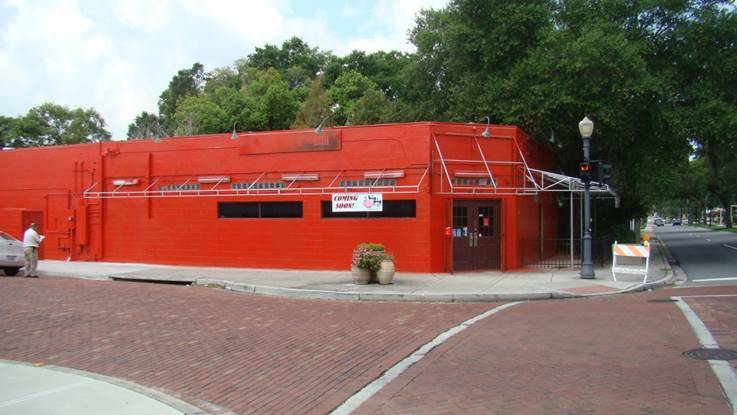 John River had the foresight to reimagine the building as the perfect place for his new southern style restaurant, The COOP. He brought the building up to current code standards added a lively vintage inspired sign. The COOP’s adaptive reuse and renovation preserve the building’s unpretentious character and honors Hannibal Square history. In the early 1900s, Kummer Lumber was located behind the 1916 house which faces Central Park. It served as the home of owner Gotthilf “George” Kummer and his descendants for almost 100 years. Kummer’s grandchildren spurned many offers to sell the only house in the upscale Park Avenue Corridor after their mother’s passing until they found a buyer they trusted in Allan Keen. A space in a big glass box office in the suburbs isn’t for everyone. The house and the detached garage were meticulously restored for Keewin Properties’ business offices. 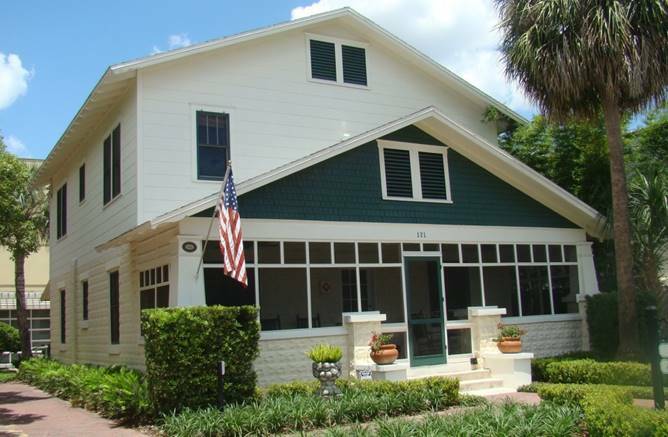 The house was placed on the Winter Park Register of Historic Places in 2004 and is included in the Downtown Winter Park National Register Historic District. Mrs. John “Cissy” Spang, owner operator of the Park Plaza Hotel, received the award given in remembrance of her husband John Spang. 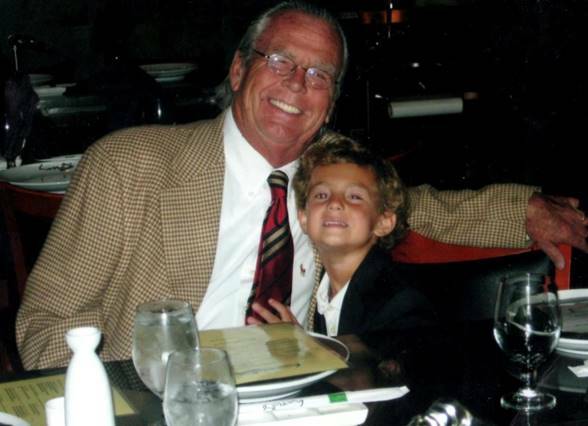 A dynamic visionary and Winter Park advocate, John Spang contributed to the revitalization of downtown and Hannibal Square at a time when businesses were moving to new suburbs and shopping malls. John Spang had a different vision. He and his wife Cissy arrived in Winter Park in the 1970s. Recognizing the intrinsic charm of historic but faded downtown, he opened the East India Clothing Store on Park Avenue followed by the East India Ice Cream Parlor. He acquired the former Hamilton Hotel and Grill and revitalized it as the stylish Park Plaza Hotel and Park Plaza Gardens restaurant. When the 1920s Alabama Hotel closed, John Spang had the vision to reimagine the once grand winter escape as condominiums. He pioneered revitalization in Hannibal Square by opening the East India Market and Coffee Emporium in the former Mike Hage’s Market building where he became a master coffee roaster before coffee shops were “cool”. John Spang will be remembered for infusing new life into Winter Park’s historic buildings so residents and visitors can enjoy them today.